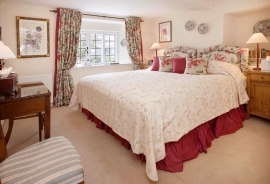 There are three guest bedrooms at Wren House all decorated in classic floral fabrics with soft creamy Cotswold-coloured carpets. 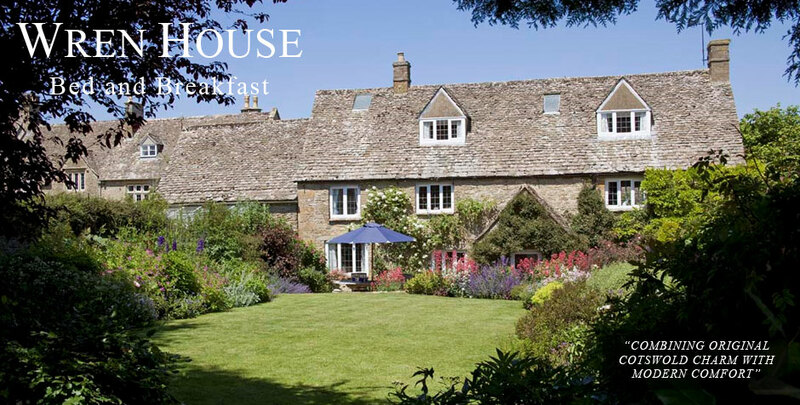 All enjoy a sunny southern view over the garden – and beyond. Each room has extremely comfortable Sleepeezee pocket sprung beds (6′ x 6’6″) and all beds have electric blankets which can be operated differently on each side. 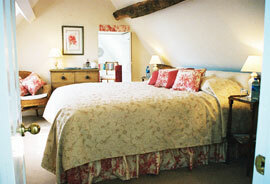 Each bedroom has its own bathroom either en-suite or exclusive to the room. 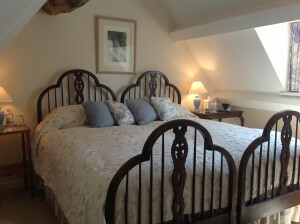 The king size beds in the Honeysuckle and Pink Rooms can be divided into three foot divans for a twin arrangement if required. Please click on the picture to view more information about each of the bedrooms at Wren House.